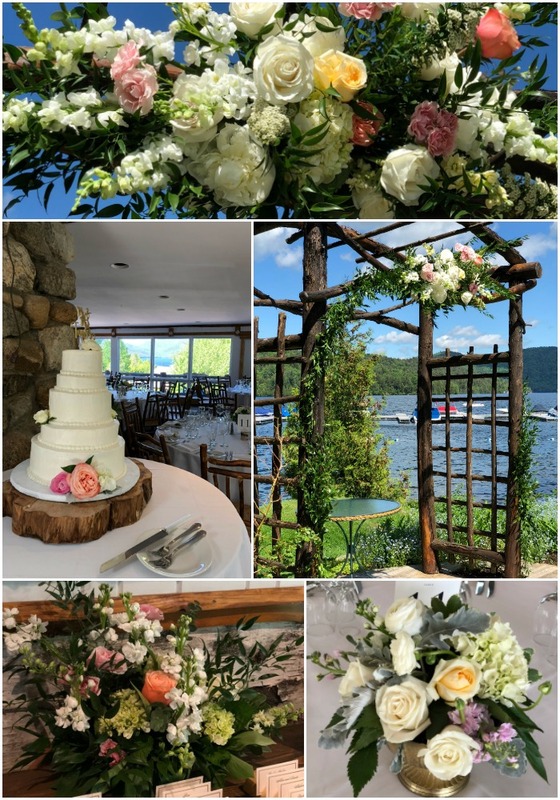 June is usually when I officially kick off my wedding season in Vermont, but for my first wedding this June I took a little trip across the lake to Whiteface Club in Lake Placid, NY, for a beautiful wedding in a soft, romantic palette of whites, greens, pale pinks, buttery yellows, and a few touches of peach. The bride carried a romantic, garden-inspired bouquet. 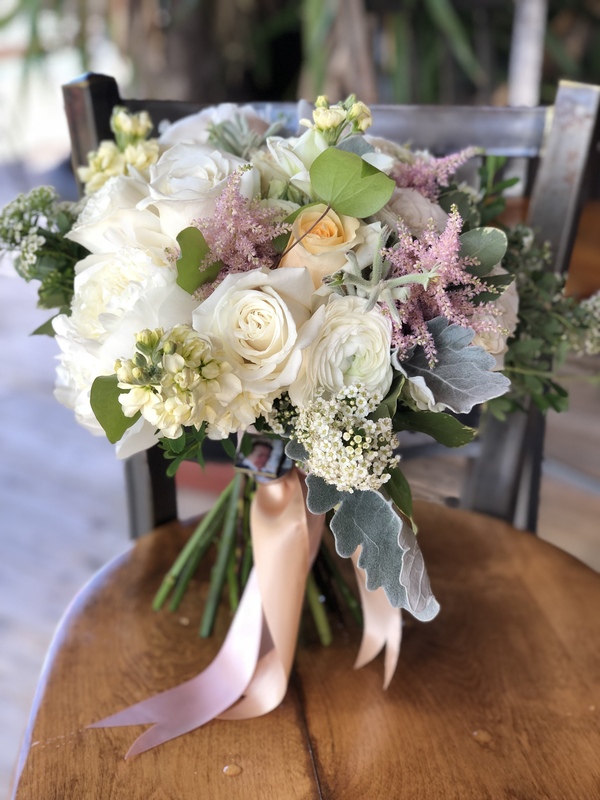 Flowers featured here include peonies, roses, hydrangea, ranunculus, clematis, dusty miller, stock, spirea and kangaroo paw. Here’s a quick shot of the bouquets for the bridesmaids, bride and moms all in a lineup! Centerpieces were designed in gold compote bowls that were filled with hydrangea, roses, stock, ranunculus, and lots of foliage including ruscus, dusty miller, variegated pitt and hosta leaves. Cocktail were served on the lawn by the lake as well as in the Boat House. This large vase created a beautiful focal point in the center of the room. This design includes snapdragons, larkspur, spirea, stock, hydreangea, ranunculus, roses, ruscus, dusty miller, and kangaroo paw. A few more images from the beautiful bluebird day in Lake Placid! Congratulations to Caroline & Bill! It was such a pleasure to work with you. Thanks for trusting me to just “run with it” and create based on your seasonal, garden inspiration!